Denver Writes » Events » Denver Writes BookCamp! Calling all future authors! Do you love to create stories? Do you want to learn more about developing real life characters, unforgettable settings and awesome plots? Come join us as we learn what makes a great story, share ideas, WRITE WRITE WRITE and most importantly have fun in the process. 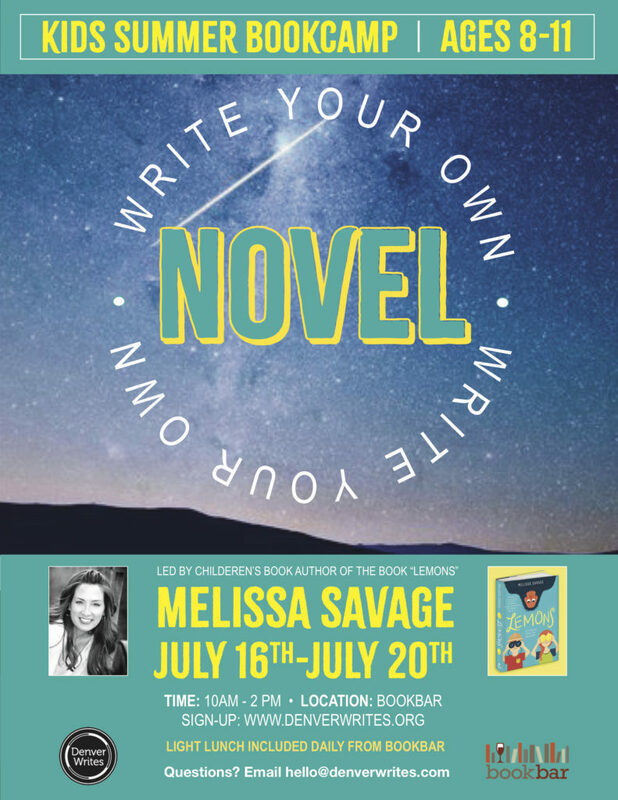 For those who choose to share their completed works at the end of the week, we will celebrate all workshop attendees with a public reading for family and friends at the BookBar, on Friday, July 20th.